Have you ever watched a group of sky divers jump from a plane? Their colorful parachutes are fun to watch as they float in the air. 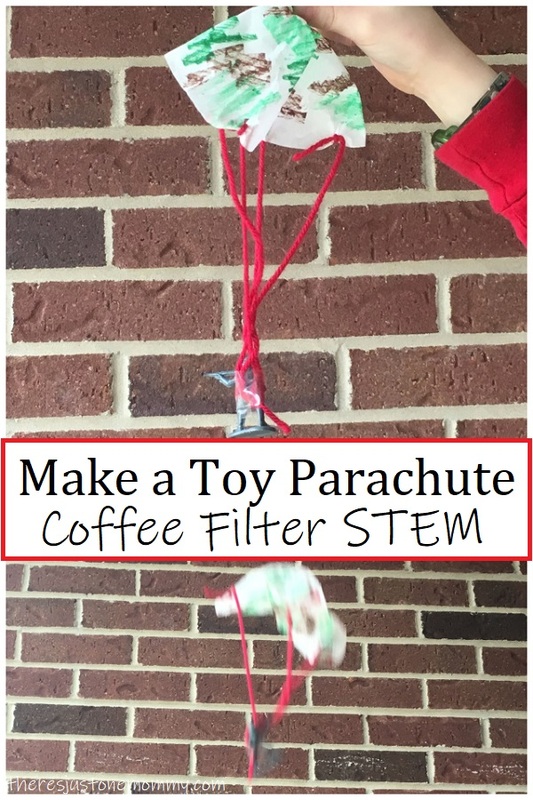 Making a coffee filter parachute is a simple STEM challenge that allows kids to explore how parachutes work. 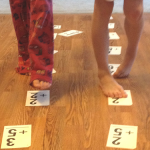 Fun STEM activities for kids like this one are perfect for keeping kids entertained and learning on rainy days or school breaks. Affiliate links have been used below. See my full disclosure policy for more information. Another of our favorites when it comes to easy STEM you can do with materials you already have at home is making a cup phone. 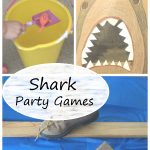 It’s a classic activity that kids love. 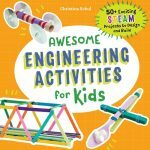 You can find this and 50 other engineering projects in my new book, Awesome Engineering Activities for Kids. Have your child stand on a chair and drop a small toy. The toy quickly falls to the ground, hitting it with a smack. What that toy needs is a parachute! How do you make a parachute out of a coffee filter? Start by opening up your coffee filter. Decorate one side of the filter using crayons or markers. Once it’s finished, fold the coffee filter in half and cut 2 small slits, one on each end of the fold, about 1/4 inch (.6 cm) from the edge of the filter. Unfold the filter and fold it in half the other way, making 2 more small slits on this new fold. You should have 4 holes, evenly spaced around the filter. Cut 4 pieces of string, 12 inches (30.5 cm) long each. Tie one piece of string to each hole. Finally, attach the opposite ends of the strings to your small toy. You can tie it or use a bit of clear tape. Stand on a chair and hold your parachute as high as you can. Try holding it by the center of the coffee filter. Let go and see what happens. The parachute should slow the toy’s fall. The force of gravity pulls all objects towards the ground. 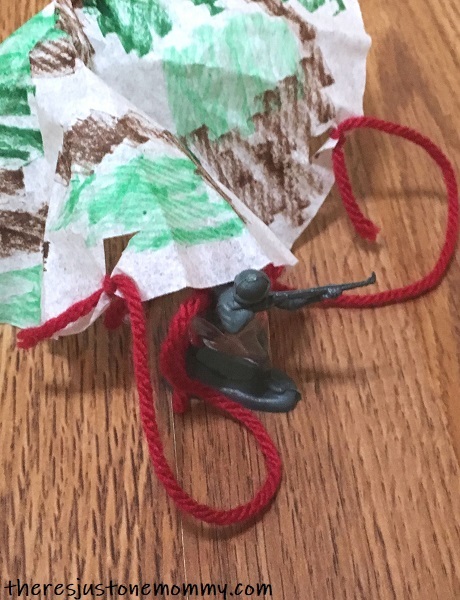 The toy parachute creates more air resistance than the toy has by itself. 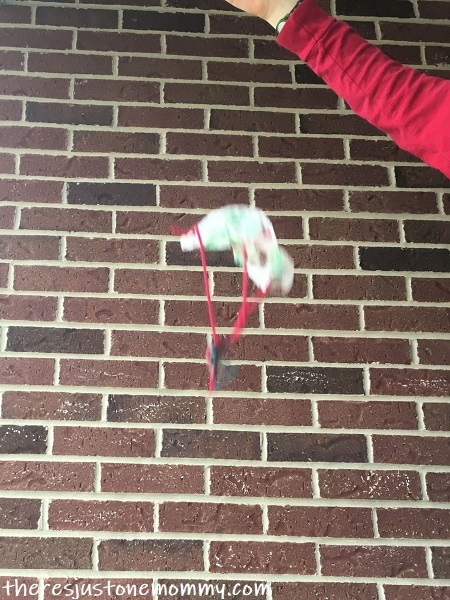 This air resistance helps to slow the toy down as it falls to the ground. Air resistance is sometimes called drag, and it’s a type of friction. Check out this sledding science activity for more fun with friction. How do you make a parachute slower? 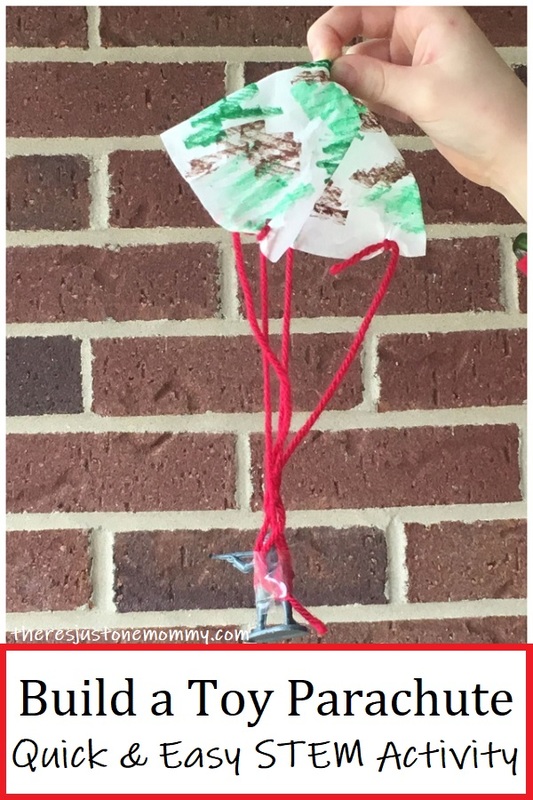 Challenge your child to make a parachute that will make the toy’s fall even slower. A bigger parachute will increase the air resistance and therefore make it slower. If you unfold a paper napkin you can cut a large circle from its center. Try making a smaller parachute. Use a cupcake liner or cutting a smaller circle out of a coffee filter to make it. What happens if you use longer strings? 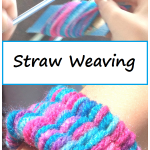 Try doubling the length of the strings you use and see what happens. 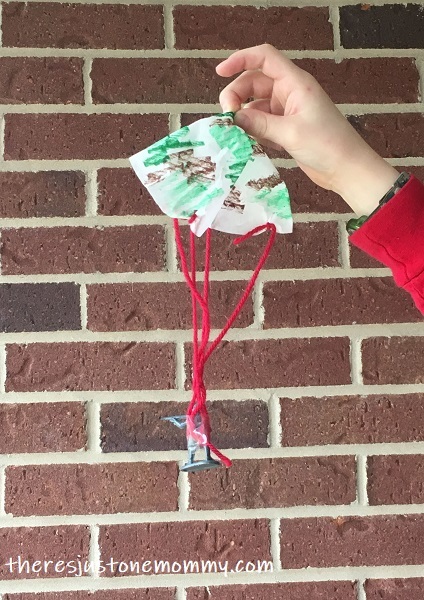 Can you use a parachute when doing the classic egg drop STEM challenge?